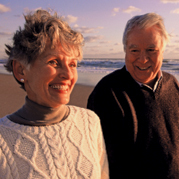 Ideal Caravans was founded in 1973 by Olive and Walter Ballantine. The name 'ideal' was inspired by a brand of condensed milk used by Walter to complement his tea. 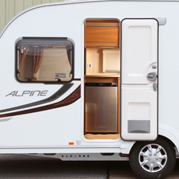 Olive and Walter started the business at Littleburn Lane in Langley Moor with a few caravans and plenty of enthusiasm. The Langley Moor display area near Durham is now the hub of the business as well as the Registered Office and main Holiday Home display area. And serves as the natural gateway to Holiday Parks in North Yorkshire, Weardale and Cumbria. With the introduction of 12' wide Holiday Homes in the 1990's and the added benefit of double glazing and central heating; the Holiday Home and Holiday Park industry revolutionised tourism in the UK. With Holiday Parks stepping-up to improve their facilities and amenities and offering longer season's to embrace the new Holiday Home designs and customer's expectations. 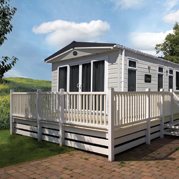 In 2001, ideal caravans branched out to include a Holiday Home and tourer display area at Clifton, Morpeth in Northumberland serving customers north of the Tyne and creating a much-needed link with the many coast and country Holiday Parks dotted throughout Northumberland and the Borders. Celebrating 30 years in business in 2003 and then closely followed in 2004 by the acquisition of Clennell Hall Riverside Holiday Park, a quiet country Holiday Park located in Alwinton at the foot of the Cheviot Hills and on the fringe of the Northumberland National Park. An idyllic rural retreat with peace and quiet in abundance. In 2007 ideal caravans openeda third Holiday Home display area at Adderstone Belford in Northumberland. Ideally located beside the main A1 road link. A viewing solution for the nearby Holiday Parks dotted around North Northumberland as well as supporting the services provided by the Clifton Morpeth display area. 2013 heralded 40 years and still going strong, Walter and Olive Ballantine's spirit of innovation and tenacity in the business lives on through their family; Linda, David and Raymond. 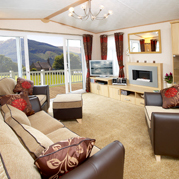 Ideal caravans is still a lifestyle experience that builds upon the original business principal of promoting and supporting tourism in the North of England and the Borders, offering the very best selection of Great British manufactured Holiday Homes and Lodges and of course impeccable customer service.